Hi everyone! Hope your week started out great, mine did and I’m grateful! Today I want to share with you this super healthy recipe. Avocado is quickly becoming my favorite fruit because it is healthy and delicious and green! Thumps up if you know what I mean. 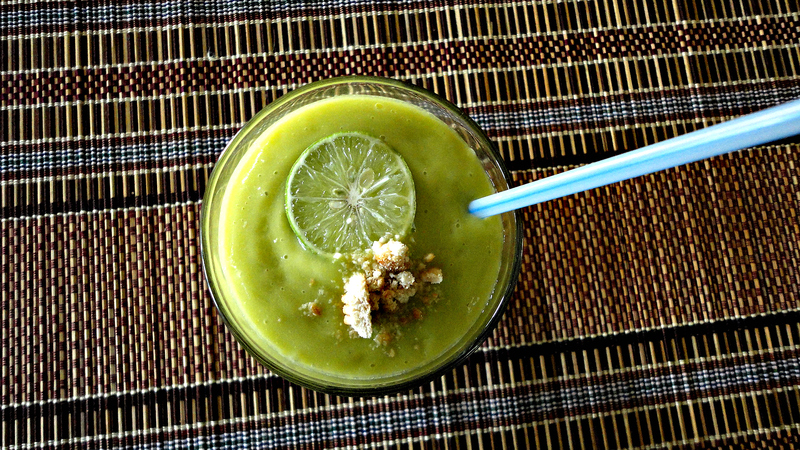 Peel the avocado and the banana and put in the blender. Add the milk, and honey. Blend till pureed. Pour in a glass and garnish with lime and a crushed cookie. Enjoy! PS: you can follow Rare Beauty on Bloglovin by clicking here or on the blogloving button in the sidebar. So simple to make,the ball is in your coat.